Private property towing, also known as non-consent towing or impound towing, is a challenge not all towing companies are truly up to. Owners of residential or commercial property in Sacramento who need to remove an illegally parked vehicle should make certain they call in a professional well versed in private property towing. Doing otherwise may result in unpleasant complications, such as may be expected if the towed vehicle is damaged during the towing operation. 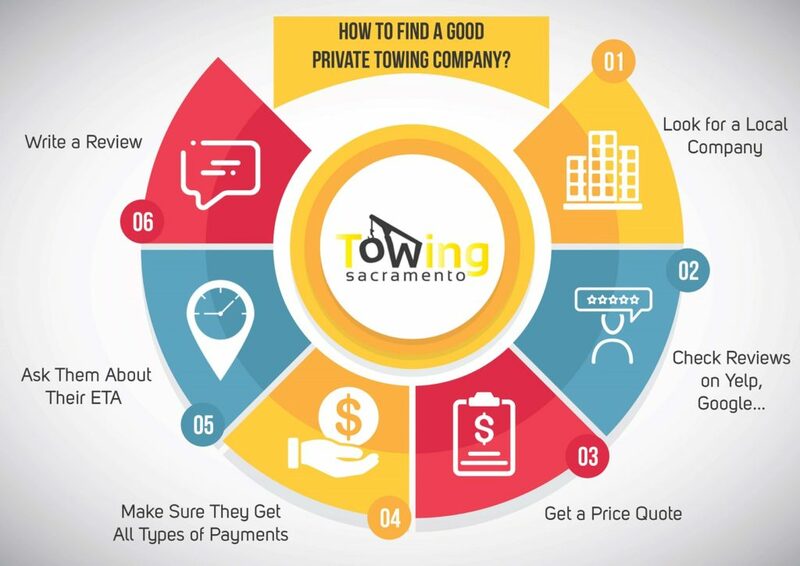 Auto Towing in Sacramento is a veteran towing company dedicated to offering the local community comprehensive, top class, towing and roadside assistance services, private property towing naturally included. If you own or manage a property which is from time to time plagued by unauthorized parking it is essential that you find a reliable, highly skilled, professional towing company which you can trust with removing illegally parked vehicles and maintaining order. At Auto Towing in Sacramento, we know all there is to know about private property towing, we are well acquainted with all relevant state and local legislation and so can help you both with the actual towing as well as with the bureaucracy involved. With private property towing in Sacramento reliability is key. When you need a vehicle removed from your property, or a property you manage, you want it done quickly and smoothly. This is essential if you wish to avoid conflicts with owners of vehicles you have towed away to the impound lot. At Auto Towing in Sacramento, we have earned a name for ourselves as market leaders who have set the bar high as far as reliability, professionalism and overall quality of service are concerned. As our name suggests, we are available any time, 24/7, 365 days a year. Once on spot an expert technician will have the unauthorized vehicle quickly hoisted up and towed away thus minimizing any chances of confrontation with its owners, in the unlikely event that such a confrontation does occur, our techs will handle the situation flawlessly, knowing exactly where things stand legally.